Clear braces, also known as invisible braces, clear aligners, trays, etc. have revolutionized modern orthodontic treatment for children and adults. This technology was pioneered back in the late 90s as an alternative to traditional, metal braces. Rather than cementing metal brackets and wires on the teeth to achieve proper oral alignment, which many people believe is not cosmetically appealing, sets of clear aligners are used. These aligners are worn at all times other than eating and are practically invisible to the naked eye, yielding greater aesthetics during treatment. Each set of aligners is typically worn for about two weeks and are custom made to gradually shift the teeth into proper alignment. Depending on the severity of your misalignment, your orthodontic treatment could range from a few months to a year or more. Through careful consultation with the lab who will be fabricating your clear braces, a comprehensive plan is created and communicated to you so that you will know the timeline to complete your orthodontic treatment. As briefly mentioned above, multiple sets of clear braces are custom made for each patient. Each set of trays are constructed to gradually add pressure to the teeth that need moved in order to shift them slightly into alignment over time. Because the clear braces are switched out every couple weeks, each new set will make the your teeth slightly more aligned in shape and contour than the previous set. By the time you get to the last set of aligners, your teeth should be inline with you and the dentist’s goals or revisions can be made. After everyone is happy with the results, a maintainer aligner is worn at night to keep your teeth straight for many years to come. What are the Benefits of Using Clear Braces? Most people look to using braces to straighten teeth strictly for cosmetic purposes, but believe it or not, a major benefit of teeth that are aligned is an improvement in overall oral health. The more straight your teeth are, the easier they are to keep clean, the less food or sugar gets trapped between the teeth which can cause decay, etc. So, by having teeth that are fully aligned, not only will they look great, but they will also be much healthier. What are the Steps in Getting Clear Braces? Step #1: Call our office at 317-300-0205 to schedule a free consultation to discuss our orthodontic treatment options, including ClearCorrect, our invisible braces of choice. Step #2: Go over the treatment plan and finances with our knowledgeable front office staff. Patients even have the option to make easy monthly payments for their braces by using CareCredit payment plans. They offer 6 & 12 months at no interest and extended plans up to 60 months depending on how much is borrowed. Step #3: Schedule the first visit to start treatment. At this initial appointment, we will take impressions of your teeth, as well as external and/or internal photos. The more documentation we can send to the lab, the better informed they will be regarding the nuances of your particular case, so that they can fabricate your aligners in order to achieve optimal results. 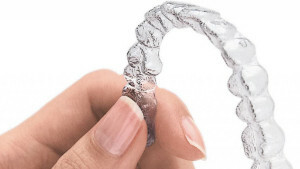 Step #4: Once your case has been fabricated and delivered to our office, we will bring you back to try in the first set of aligners to ensure proper fit and bite. Then, you will be given a few sets of aligners to switch out every couple weeks. Step #5: Schedule periodic follow up appointments where we can check the progress of your orthodontic treatment to ensure that your teeth are gradually becoming more orthodontically aligned. Step #6: Schedule a final appointment once the treatment has been completed to again ensure that your treatment has delivered optimal results. Most people are candidates for clear braces, and they are ideal for people who have moderately crooked teeth, slight over and/or under bites, tooth crowding, gaps in between the teeth, etc. They are also great for people who had traditional braces as a child but might not have been so great about wearing their retainer later in life! People who aren’t an ideal candidate are those who have a fairly severe misalignment situation, which will require a more traditional approach. During your consultation, we will examine the severity of your case and determine which orthodontic treatment would deliver you the best results. Depending on your particular case, any insurance benefits payable on your behalf, etc. a typical clear braces treatment plan can be an investment of anywhere from $2000 – $6000. Are there Payment Plans for Clear Braces? Absolutely! Our office is happy to offer monthly payment plans through CareCredit. CareCredit allows for 6 or 12 months at 0% interest, or extended plans up to 60 months depending on the amount borrowed. You can securely apply for CareCredit by CLICKING HERE. Why Does Clarity Dentistry Prefer ClearCorrect over Invisalign? ClearCorrect is much less expensive for our patients compared to Invisalign. ClearCorrect is time tested and has been in business a very long time like Invisalign. ClearCorrect is clinically proven to align teeth just as well as Invisalign. ClearCorrect has a state-of-the-art lab that fabricates all of the custom aligners much like Invisalign. So, as you can see, the products are very similar and equally effective, but ClearCorrect is much more affordable. So, when we can get the same great results with either system, we would prefer to choose the one that more of our patients can comfortably afford. Clarity Dentistry ensures that our Indianapolis dentist is dedicated to continuing education and training to stay up to date with the latest orthodontic procedures and techniques. We are committed to helping our patients achieve remarkable aesthetic results without compromising the structure or health of any tooth. At Clarity Dentistry, we provide first-rate dental treatments and five-star patient care. We are passionate about each of our patients achieving greater health and self-image. Once you are one of our patients, your satisfaction becomes our top priority – and we will go out of our way to earn it. We customize each treatment to match each patient’s unique needs to achieve an attractive, show-stopping smile. For more information about our dental services, feel free to contact us today.